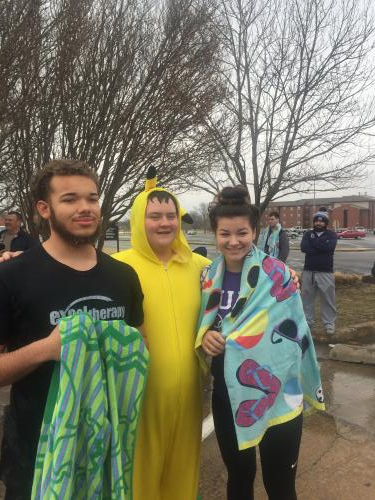 A few NHS members participated in the Polar Plunge on Saturday, February 2nd. This is an annual fund raiser for Special Olympics. 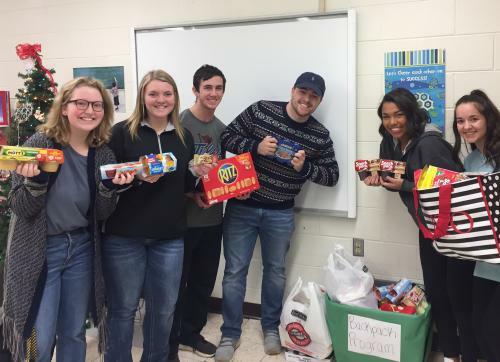 NHS members collected food items for Christ Cupboard and the Morris backpack program. 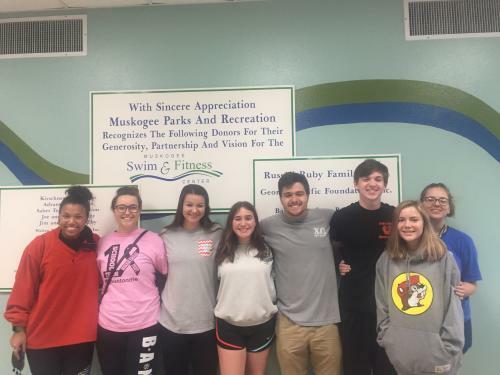 On October 25th, NHS members assisted with Special Olympics swim meet in Muskogee. Thank you Kyzia, Alexis, Ella, Ellie, Eli, Trotter, Tara, and Taya. 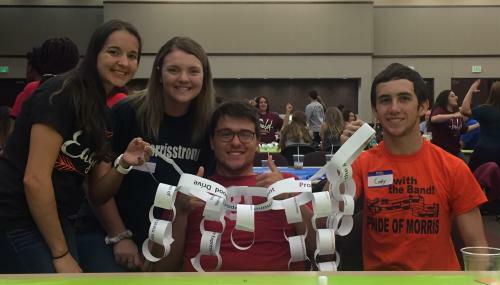 On September 6th, the NHS officers attended a team building workshop sponsored by the Oklahoma Blood Institute. 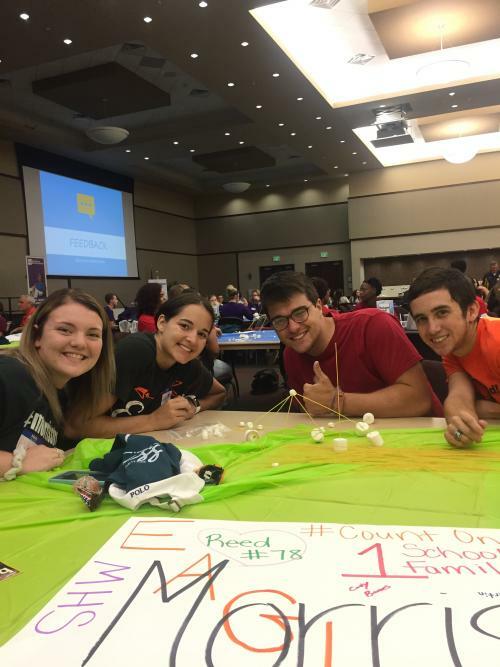 Shout out to Eli, Abby, Kaitlyn, and Cody for a wonderful job that they did! 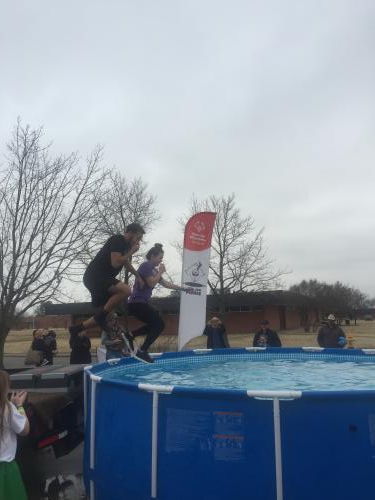 NHS will be hosting the pie throw again this year at the school carnival. 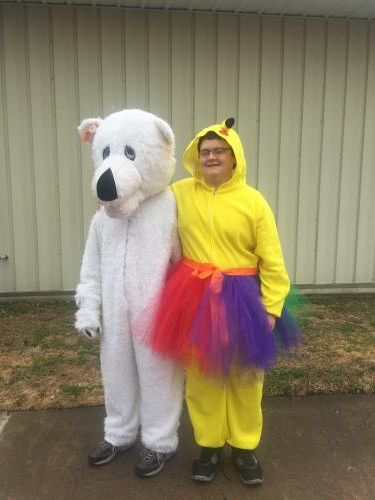 We need donations of pudding mix and candy. Please bring items to Mrs. Barnes room by October 2nd.